You are free to choose your campsite in a secluded corner or near the bathrooms. Each site is equipped with a max 6 ah electrical connection. The use of electricity and hot showers is included in the price of the site. The use of the washing machines and thehot-air dryers are charged separately. Campers are free to avail of the camper transport service. 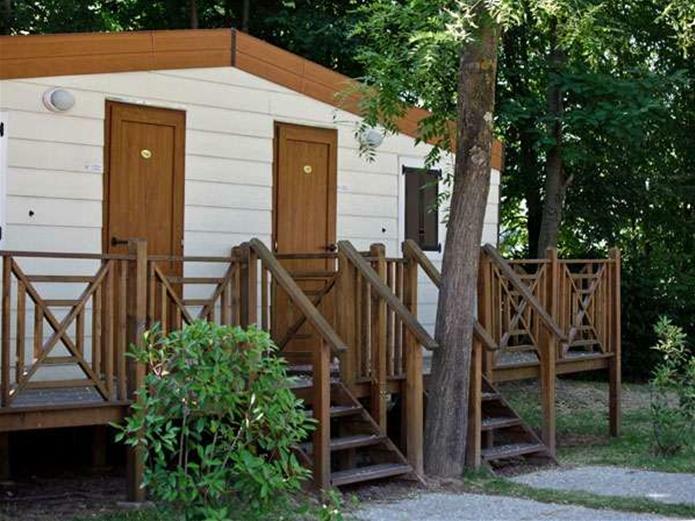 The chalets are mobile homes for a maximum of two guests, and come equipped with private bath and shower, automatic air-conditioning, television, linen and daily cleaningservice. Parking right out in front. Pets are not permitted in the chalets. 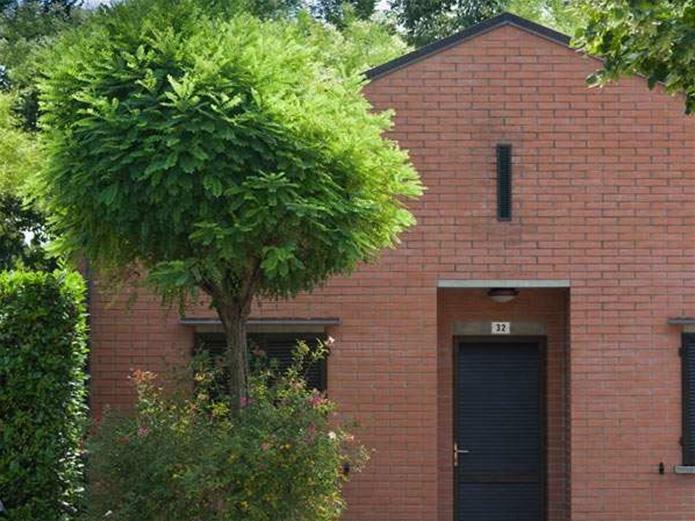 The brick bungalows come equipped with private baths, showers and hair-dryers, central heating, automatic air-conditioning, telephone, tv, is available for longer periods of stay cooking area with refrigerator, linen, and daily cleaning service. The 50 bungalows are all on the ground level for easy access. Reserved parking in front of bungalow. External car park. Up to 4 architectural barrier-free bungalows are available for disabled users. Centro Turistico Citta' di Bologna, a tourism and services company, meets all the needs of modern open-air tourism by offering comfortingly welcome accommodation to business tourists who normally stay in traditional hotels. 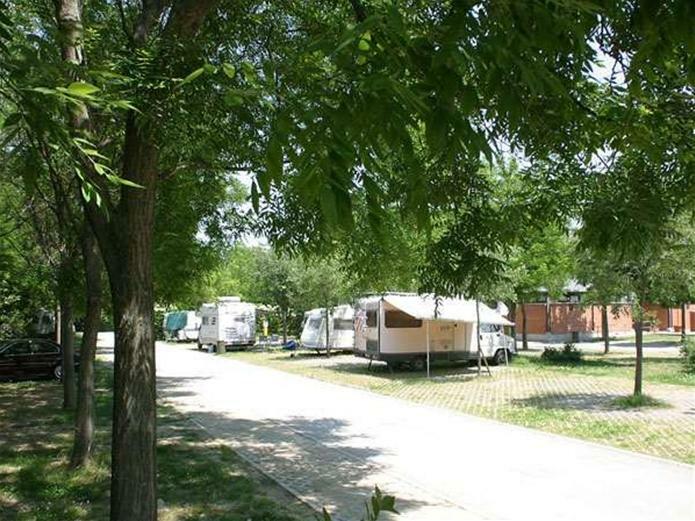 Centro Turistico Citta' di Bologna complete with the following accommodation facilities: campground, bungalows and chalets, satisfies the discerning tourist who demands both the strategic location of the structure and high quality in the service offered. Centro Turistico Citta' di Bologna is happy to provide helpful information on all the city's works of art, cultural events, scientific activities, gourmet food and drink, entertainment, trade fairs and conventions, with special attention on "Bologna 2000", the European capital of culture. Centro Turistico Citta' di Bologna is a complete tourism structure that ensures a hearty welcome and a pleasant stay at prices that are as competitive as any in the national and international tourism market. Check-in From 14.00 until 23.30. Check-out Accommodations: From 06.45 until 11.00. Pitches: From 06.45 until 12.00. Cancellation / Deposit Refund Reservations can be cancelled without extra costs until 48 hours before arrival date. After this period or in case of no show, the costs of the first night will be charged. Animals Allowed Pets allowed on camping pitches. The pool is suitable for children?Yes, the pool is suited for children. The use of the swimming pool is included in the price?Yes, use of the swimming pool, sunchairs and sunbeds is included. How far is the village from the nearest city center?4 Km. Accommodations are equipped with bed linen, bath linen and crockery?Crockery is included for a minimum of 7 nights. Bed linnen and bath linnen included. Half Board or Full Board treatment available?No. Hot showers are to be paid?No. Check-outAccommodations: From 06.45 until 11.00. Pitches: From 06.45 until 12.00. Cancel/Confirmatory deposit:Reservations can be cancelled without extra costs until 48 hours before arrival date. After this period or in case of no show, the costs of the first night will be charged. Pets allowed:Pets allowed on camping pitches.